With the GL Heat Protection Materials, you save the operations of your machines, plants, building parts and apparatus from heat radiation. The Reiku heat protection materials are robust and resistant. REIKU heat protection materials can be worked with the scissors. The REIKU heat protection programs fit into a variety of applications. The GLASO- and GLASIL- range can be delivered in different forms and sizes. 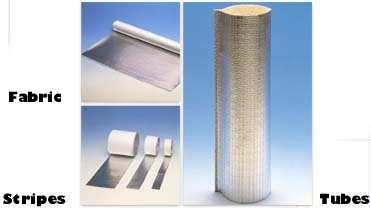 Contact us Today for the Reiku GL Heat Protection Materials!